MARKÉTA IRGLOVÁ has come a long way. And I’m not just talking about her seemingly never ending world tour promoting her second solo album, or even the middle-distance hop from her adopted home city of Reykjavik to the metropolitan sprawl of West London for this, the first of her two UK gigs this year. I’m talking about her musical journey, her creative journey, her personal journey. From Valašské Meziříčí in the Moravian valleys to bustling New York to the Icelandic capital to one of the UK capital’s plushest music venues via the Grammy Awards, the Oscars, an episode of The Simpsons, and a clutch of intensely soul-searching album releases – with three love stories thrown in for good measure, the present one culminating in joyful motherhood – is not exactly the shortest distance from A to B. And on a crisp mid-March evening in Shepherds Bush, a 200-strong capacity audience could almost see and feel Irglová’s emotionally vivid life flashing before their eyes as her cultured melodies caressed Bush Hall’s chandeliers and hanging glitterball on their way into our ears and hearts. But tonight was not only Markéta Irglová’s evening. Step forward Svavar Knútur, a close friend of Irglová’s whom she had personally invited to open the London gig. Although the CzechHarmonies brief is to write about Czech music, it would be impossible to describe the evening without mentioning this Icelandic singer/songwriter and self-styled troubadour, who seems to share the headline act’s mission to conquer Britain peacefully with a subtle tug of the heartstrings – in addition to being a catalyst for Irglová’s long term relationship with Sturla Mio Thorisson, who produces both artists and was tonight´s sound engineer. 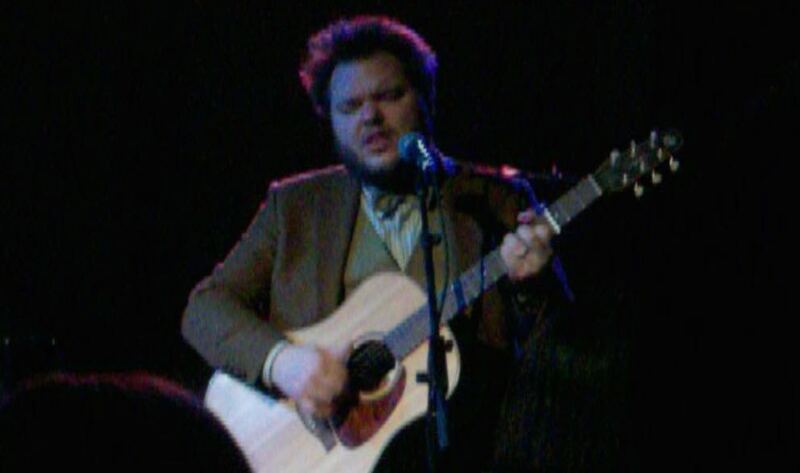 Icelandic singer/songwriter Svavar Knútur, who opened the show. Like Markéta Irglová, Svavar Knútur is phenomenally gifted. He is also extremely funny. In fact, he could release his between-song banter as a comedy album in its own right. There were audience belly laughs aplenty as this thoroughly likeable 39-year-old bearded man in a natty bow-tie outfit regaled us with chuckle-tastic anecdotes about his historic lack of success with girls, that gig where he conspicuously scratched his nose on the mic, how American reactions to his weighty frame are more two-faced than German reactions, and how EU regulations forbid Icelanders from building igloos more than five storeys high without an elevator with a cooling system. Apparently. In fact Knútur would be in severe danger of eclipsing his musical gift with his comedy gold, were his compositions not so incontestably brilliant in their design and execution. His adept acoustic folk style – mainly on guitar but occasionally on ukulele – perfectly complemented his endearing narratives and mellow vocals, combining taut wordplay ‘Out in the ocean, under a fish, lies a kiss that you once blew to me’ (Baby, Would You Marry Me?’) with sinewy fingerpicked chords. Svavar Knútur sees himself as taking the audience for a workout because, as he so succinctly put it, “music is better for long term health than sport”. Well played, sir! As Markéta Irglová took her position at the grand piano, sporting tight jeans, a loose fitting pale pastel orange top and a maternity scarf shrouding her stomach in mystery, astute observers might have spotted a bun in the oven. 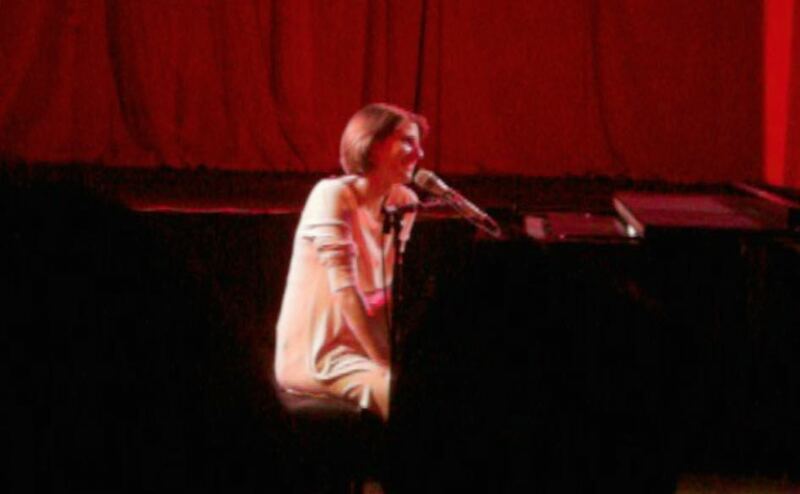 Indeed, eight songs into her set she announced “we have another baby on the way”, to empathetic applause. 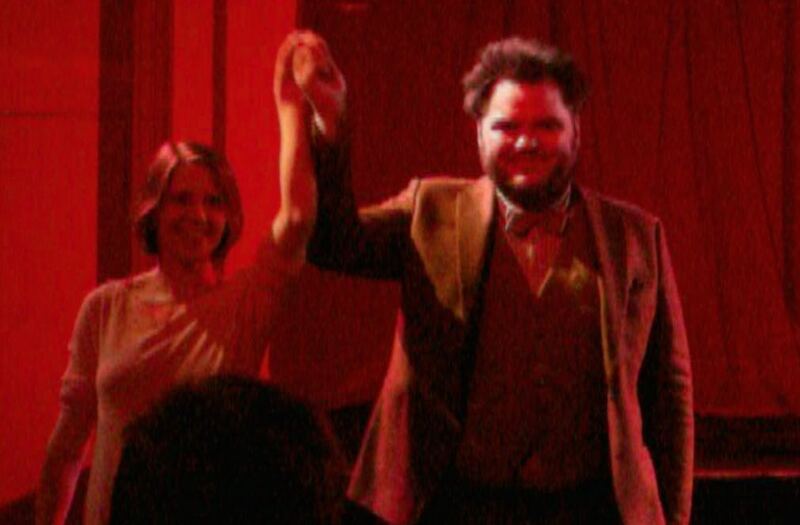 When she thanked her support act for unwittingly playing cupid (Irglová was providing backing vocals on Knútur’s Sturla Mio Thorisson-produced latest album when love blossomed for Markéta and Mio), Svavar got yet more laughs by bellowing “You’re welcome baby!” from the back of the hall. And he wasn’t finished just yet. By this time, Valašské Meziříčí’s finest export had comprehensively got London onside by making us care about her, through both her peerless music and bite-size snippets of her life story told between songs. Of course you can surmise the tone of her life story simply from the timbre of her singing, even without studying the words. At its tenderest, Irglová’s voice is so fragile you fear it will shatter at any moment, but somehow it never does. And, like the person it belongs to, what doesn’t kill the voice, only makes it stronger. Although it was no surprise that the Muna album’s opener ‘Point Of Creation’, with its bells, organ, choir and cathedral acoustics, did not feature in this solo show, before we knew it we were into the album’s second song ‘Time Immemorial’, the first of only four tracks tonight taken from Irglová’s latest album. 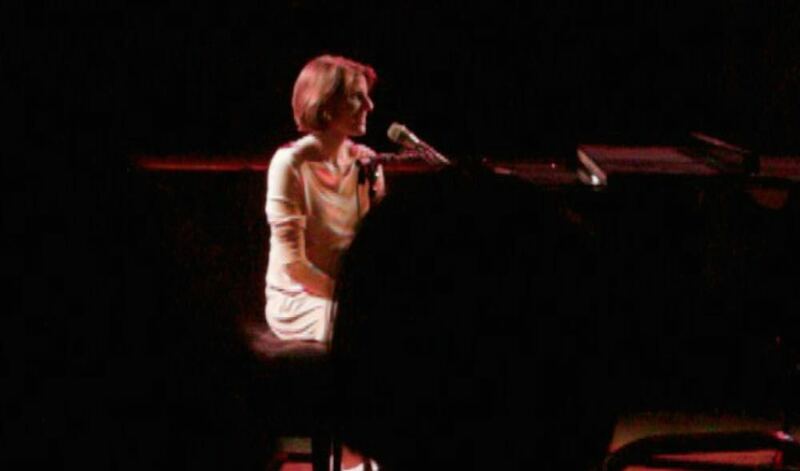 In total, her set (including encores) comprised fifteen songs, being drawn also from debut solo album Anar, as well as The Swell Season repertoire – though the band itself was absent tonight. “I have you all to myself,” she quietly gloated. There were also a couple of cover versions. A notable highlight, from the ‘Once’ film soundtrack collaboration with Glen Hansard, was a movingly desolate version of ‘If You Want Me’. The switch from guitars and drums to solo piano opened up a huge vista, into which Irglová seemed to pour every last molecule of her soul, culminating in a swelling wordless vocal that surfed the coda with an imperious yet hushed intensity. Hearing a song from a blockbuster musical out of its normal context is an intriguing acid test, and Irglová’s reading of ‘I Don’t Know How To Love Him’, from Jesus Christ Superstar (preceded by the delightful tale of her childhood crush on the musical’s lead actor) gelled surprisingly smoothly with the rest of her set, nestling as it did quite comfortably between ‘If You Want Me’ and ‘Gabriel’. 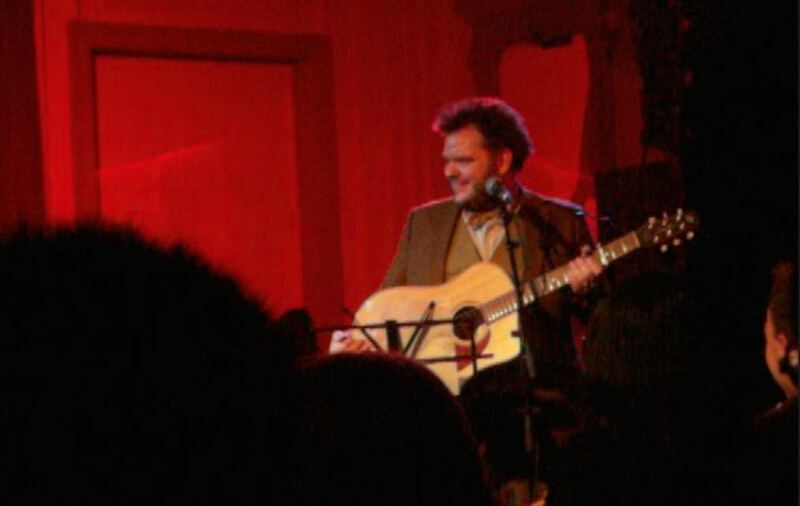 ‘This Right Here’ might be the Muna album’s closer, but here it was at the beating heart of the Bush Hall set list, followed not by silence, but by a sensitive rendition of ‘Gently Johnny’, from The Wicker Man soundtrack, which turned out to be Irglová’s only foray of the evening on acoustic guitar, prematurely abandoned due to a faulty capo. We were then blessed with a privileged insight into Irglová’s creative process as, returning to the piano, she treated us to an untitled work in progress characterised by slow, twinkling arpeggios and a looped chord progression. A few bum notes and hesitations really didn’t matter: we were witnessing a rough diamond being freshly hewn from the mine. The finished, polished product can’t come soon enough. If I had never heard of Markéta Irglová but stumbled upon ‘Crossroads’, I would possibly have guessed, on first hearing, that it might be a classic early Joni Mitchell outtake that had somehow inexplicably failed to make it onto her ‘Blue’ album of 1971. But subsequent listens mark out this lovingly chiselled sculpture of pianistic magic as pure Irglová through and through. And in Bush Hall it glowed like a candle that will never go out. “The act of falling in love is so precious, and you never get that time back…but sometimes those feelings come back…I sing this song to remind myself of what I am when I fall in love – to honour the bond.” With such an introduction, she could only be talking about ‘Let Me Fall In Love’, another showstopper from ‘Anar’. And what was incredible during this performance – and I don’t know if this was by accident or design, and I swear I didn’t imagine this – was the illusion, caused by red light reflected off the piano lid onto her eyes, that she was wearing rose-tinted shades. Which was eerily, movingly appropriate for the lines ‘When you fall in love, you fall in love with everything, with everyone/ And you look at the world through a new pair of eyes’. You’re not wrong there, Markéta. There followed two encores: ‘The Hill’ (Swell Season territory again) swiftly followed by Svavar Knútur again duetting with Irglová on one of his most affecting songs. But not before Knútur had once again pressed the between-song comedy button, telling us how he loves to wind up audiences on his foreign tours with the revelation that “in Iceland we don’t have any normal clothes like you, we just wear furs from animals that we kill”. 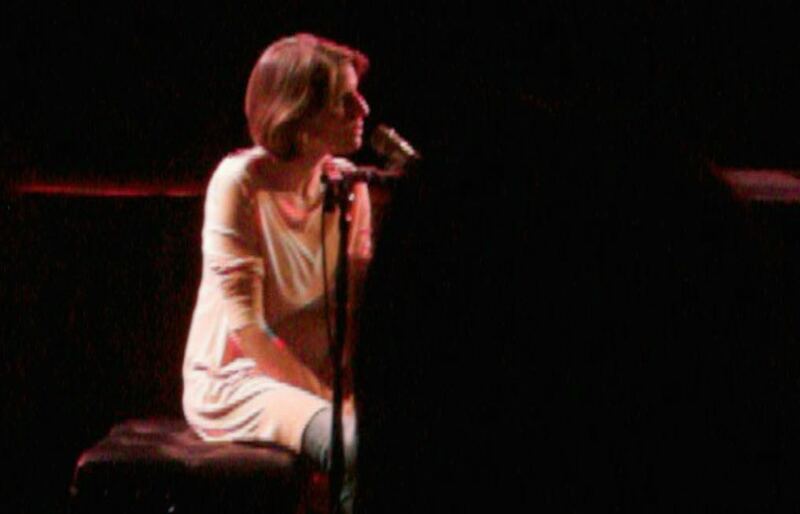 And so on, ad infinitum, while Markéta Irglová – the headline act, need I remind you – sat patiently at the piano, fixing her friend with an ever-intensifying ‘have you quite finished upstaging me at my own concert?’ stare. Eventually the Icelandic jester took the hint and, after a pause measured out with perfect comic timing, his sheepish “Shall we do the last song?” elicited possibly the biggest laugh of the night. Priceless. Obviously you can only follow such shenanigans with a ‘post-apocalyptic love song’, which is exactly what they did. And as Knútur picked the plaintive intro to ‘While The World Burns’, taken from his latest album ‘Way Of Waves’, he made it up to Irglová by thanking her sincerely for tonight and declaring touchingly that her life has also affected his life. This was more than a concert of very special music. This was a window into the lives of two very special people who clearly love each other dearly as friends. And in the light of the unhappy news of that day’s theft incident: if there was one thing this gig taught us, it’s that material possessions, and the convenience and diversions they afford us, constitute only a tiny fraction of what it is to be a human being. Tonight Markéta Irglová might be several physical possessions lighter thanks to some dipstick’s misdemeanour, but she remains one of the spiritually richest – and most creatively talented – individuals on the planet. And no one can steal that from her.